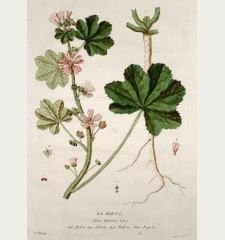 Copper engraving of a plant. Jalapa. 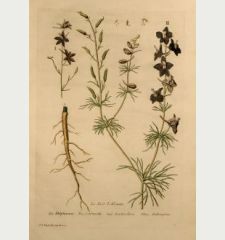 Printed in Paris in the year 1774. 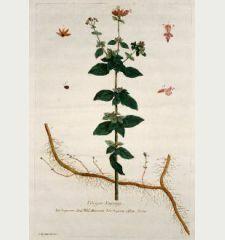 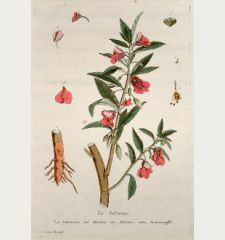 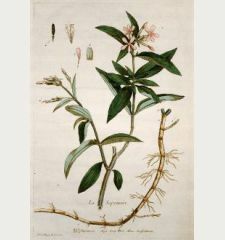 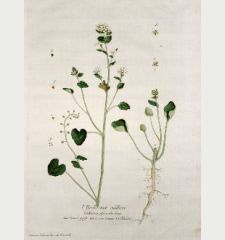 Beautiful original hand coloured large folio copper engraving of Mirabilis jalapa. 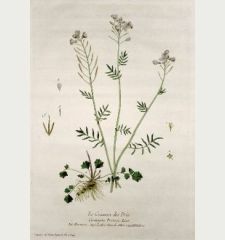 Drawn and engraved by Regnault's wife Geneviève. 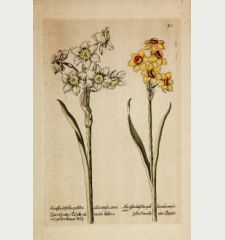 With wide margin. 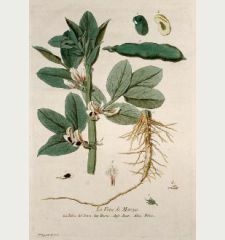 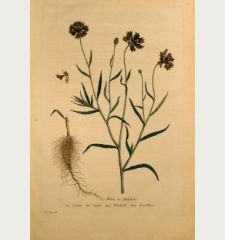 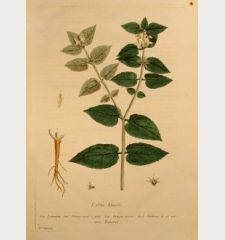 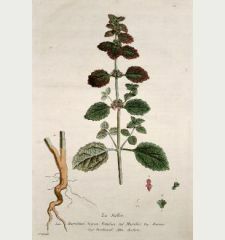 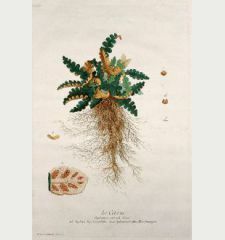 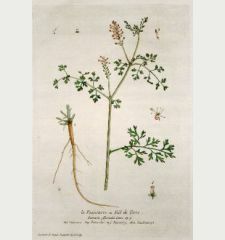 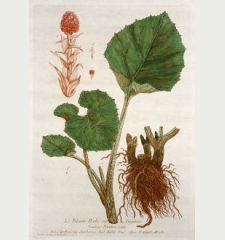 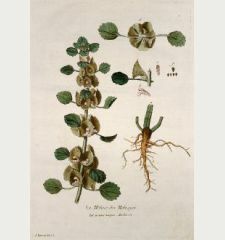 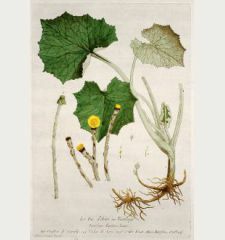 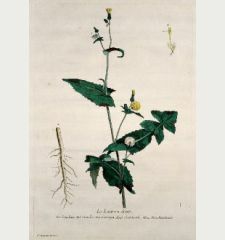 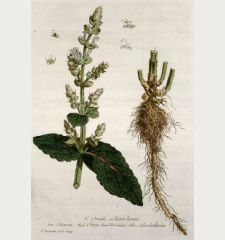 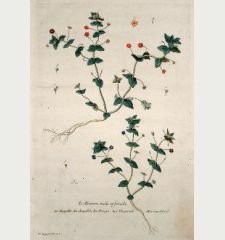 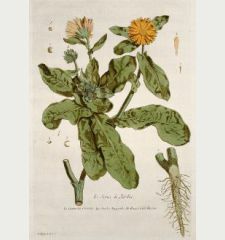 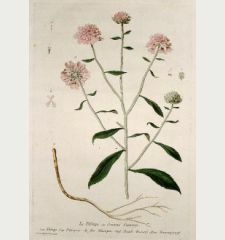 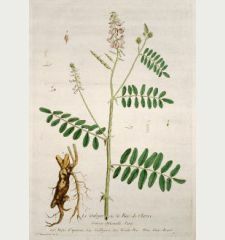 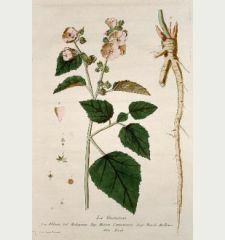 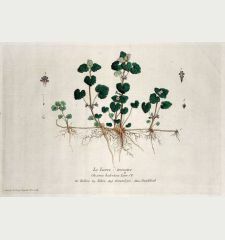 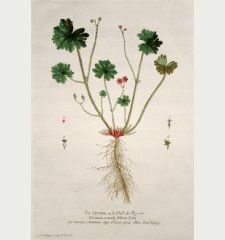 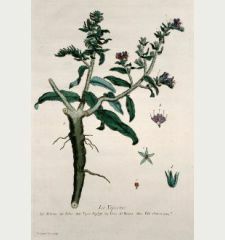 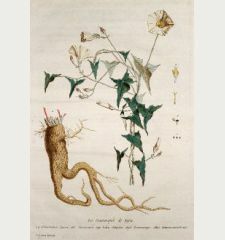 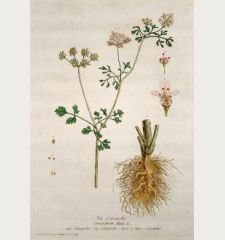 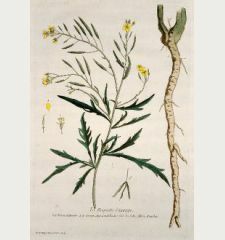 The engraving comes from "La botanique" which is according to Blunt "Perhaps the most impressive French botanical book of the period". 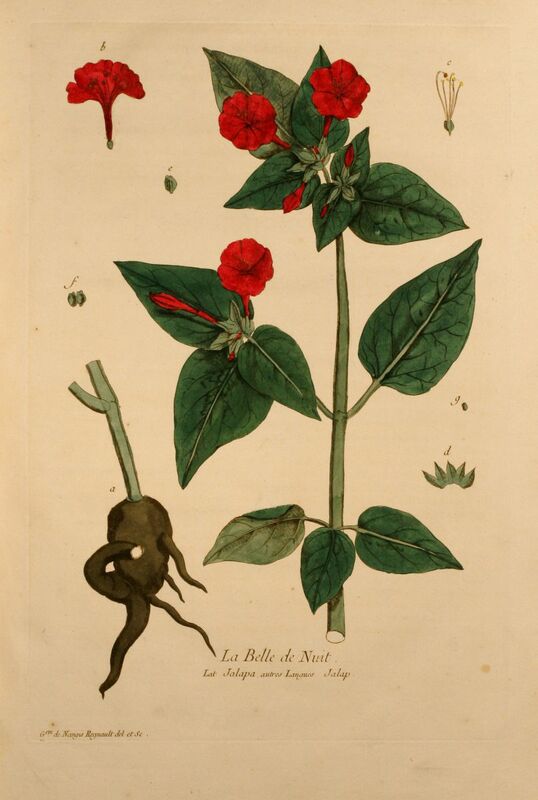 Nicolas François Regnault: La Belle de Nuit, Mirabilis jalapa.